Two men were rescued after spending eight hours in the water in Lake Erie. The men fell off their jet ski Monday night. The Canadian Coast Guard launched a search after they were notified by crew from the Jiimaan ferry to Pelee Island around 9 p.m. 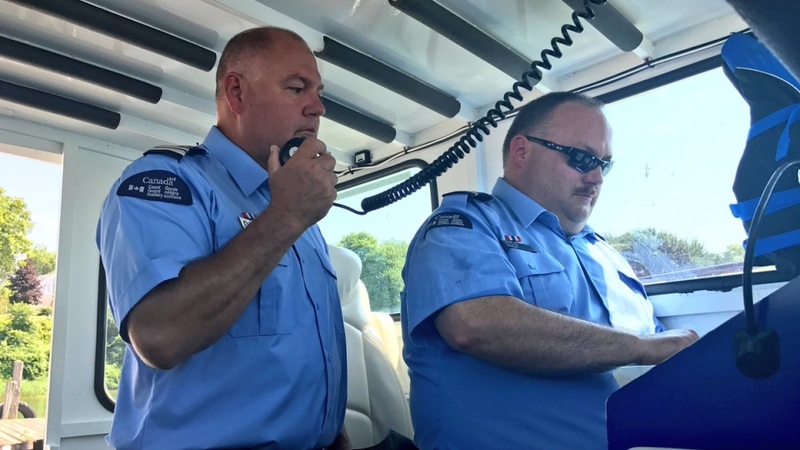 The Canadian Coast Guard's search and rescue crew stationed at Amherstburg was tasked by the Joint Rescue Coordination Centre in Trenton along with the CCG Auxiliary vessel Colchester Guardian. A United States Coast Guard helicopter was also actively involved in the search, along with the Colchester Guardian Rescue. A volunteer with the Colchester group says they were lucky to find them, but that is why the service is there. “Sometimes we don’t bring them back, but this time we did, so that’s great,” says Mike Drexler with the Colchester Guardian Rescue. Drexler says this is the 4th rescue they’ve assisted with this year. He adds in the last five years of operation, Colchester Guardian has saved 12 lives. The two men had a cell phone with them, but it was secured on the jet ski. One of the men was wearing a lifejacket but the other was not. 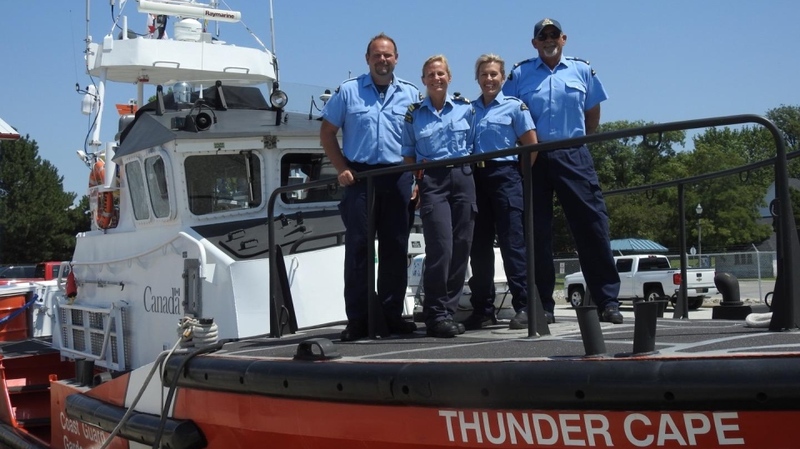 At about 12:30 a.m. Tuesday the Coast Guard Auxiliary detected the two and the Canadian Coast Guard crew aboard CCGS Thunder Cape quickly recovered the men who had been in the water for eight hours. “Very scary. We figure probably 10-15 minutes longer, and that would have been the end of it," says Canadian Coast Guard commanding officer Sondi Ryersee. After being lifted onto the Coast Guard ship the two were transferred to a waiting ambulance in Leamington. “It's like yes, we got them,” says Ryersee. “It's like winning the jackpot. We're fist pumping, we're high fiving, that we made a difference that we found somebody." Both men suffered hypothermia and are recovering. Their names will not be released by the Coast Guard.